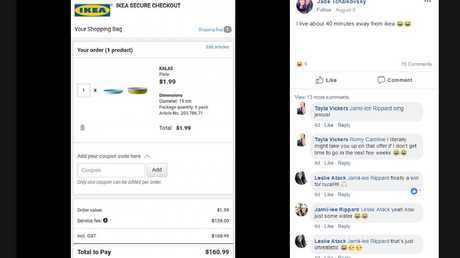 IKEA has come under fire after a viral Facebook post revealed some Aussies are being stung hundreds of dollars for home delivery. 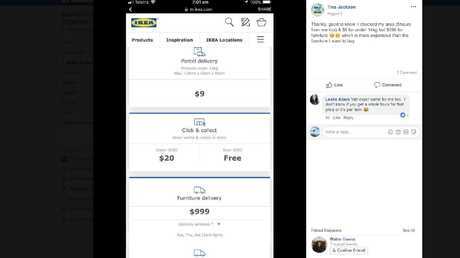 Posting on the Mums Who Organise Facebook page last week, Leslie Atack, who lives in the NSW town of Inverell, wanted to "share her joy" after learning of Ikea's new $9 Parcel Post delivery service. But she quickly discovered that reasonable rate wasn't available to all Australians. Her post, which has attracted hundreds of likes and comments, immediately inspired other mums to share their Ikea home delivery horror stories. 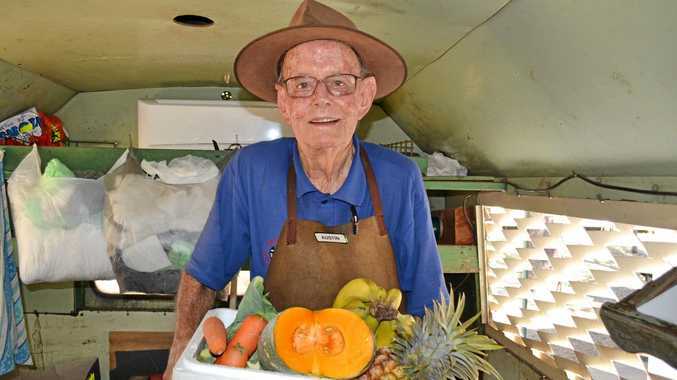 Many comments responding to Ms Atack's original post revealed Australians in some locations are being charged hundreds of dollars for delivery, even for very small items and even for people who live less than an hour away from an Ikea store. 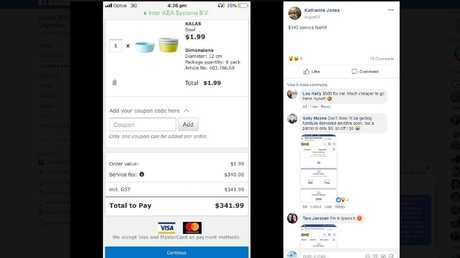 In one example, a mother shared a screenshot showing she would have been charged $160.99 for the delivery of one $1.99 plate - despite living just 40 minutes away from a shop. Another received a charge estimate of $340 for a $1.99 bowl, while another learned she would be charged $999 for the delivery of furniture - a fee far higher than the cost of any furniture she planned on buying. Another was charged a whopping $40 service fee after selecting the "Click and Collect" option for four $5.99 cushions - which she planned on picking up herself. "It was cheaper to hire an SUV for a day and drive there to buy it all than have it delivered," one group member wrote, while another added: "Hahahaha $590 to deliver one small item to me, nope!" and another asked: "This can't be correct …"
"The fees are ridiculous! I wanted to buy some plates. For delivery 30-45 mins away was $153. 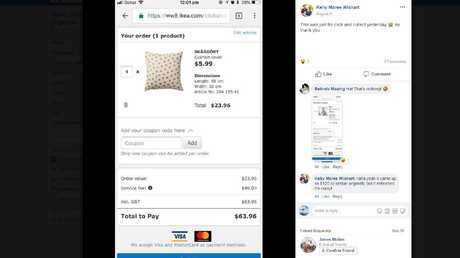 It's disgusting," one woman posted, while another wrote: "Mine came up as $129 service fee on an $80 order and I'm only 20 mins from Ikea." While exact delivery fees are calculated based on a shopper's home postcode, the Ikea Australia website explains: "Next day home delivery is available for in-store purchases to metro areas near all our stores. Delivery is charged at a flat rate, starting at $59, based on the delivery postcode, no matter how large your order. Regional delivery is also available." Meanwhile, it also states: "Click & Collect allows you to purchase items online and collect them in-store. This service is charged at a fixed rate, no matter how large your order." But Ms Atack told news.com.au she was shocked to learn just how much some people were being charged. "I thought the $9 parcel post was Australia-wide," she said. "Especially considering I'm rural and I got it, I figured those in metro areas would definitely get it. "I was quoted $999 for furniture delivery too … if it gets you a whole truck it may be worth it. But the high prices for small items for others, especially when they are much closer to Ikea than I am, was ridiculous." 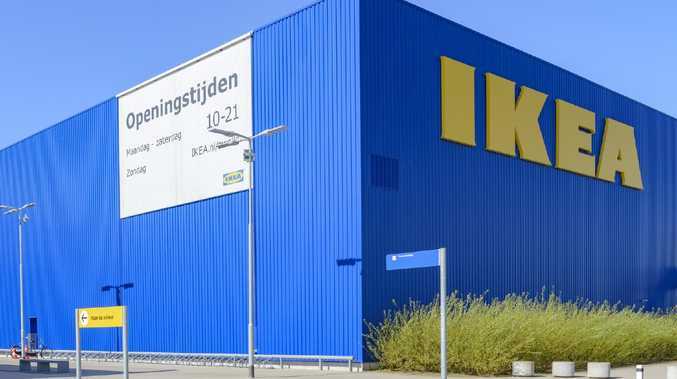 Ms Atack said she hoped the high fees were just a "glitch in the system" which Ikea would "iron out soon". "The fact that they're offering shipping now at all is amazing, and I received my items in three days which is completely insane. I can't even get express shipping things in three days," she said. An Ikea spokeswoman told our sister paper news.com.au "our aim is to make Ikea more accessible to Australians". "Through the opening of our customer distribution centres, we're making online shopping more affordable for our customers and have rolled out delivery services, including our new $9 parcel delivery and the delivery of larger home furnishings, in New South Wales, Australian Capital Territories, Western Australia and South Australia," the spokeswoman said. "We will soon be rolling out similar online shopping and delivery services in Victoria and Queensland." She encouraged shoppers to check delivery prices online.